When it comes to special measures for keeping important papers, guns and other items secure, there are a number of different types of safes available. Consumers can choose from items designed to be used in the home or office, as well as models developed to store firearms. Savvy buyers will take the time to consider their options carefully before making a decision about which one to purchase. An individual considering buying a home office device will need to look at what types of items will be stored in it, as well as the space available for installing it. The buyer will also need to look at whether he or she wants to bolt it to the floor or move it to different parts of the room (or even into a different room entirely) before making a decision. Office safes vary significantly in size and style. A small drawer version is the right choice for a person who wants to store a gun in a manner that allows for quick access if necessary. Other business owners will want to consider placing a larger unit on the premises. For them, a strong box may fit the bill, especially if the model in question comes with a removable shelf for added flexibility. An individual looking for one for the office can consider larger models, depending on the particular needs of the business. Models are available in various sizes and price points, and some of them even offer shelves or drawers as features. Before a home or business owner can make a decision there are other factors that need to be considered. The fire rating on the item is important, since one of the reasons why someone would want to buy one is to protect valuable papers, inventory and cash from this type of risk. 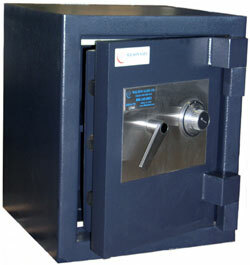 For business owners who need to keep funds on the premises regularly, dropsafes are worth considering. Any type of enterprise handling monetary transactions from customers could benefit from this type of device. Employees can deposit funds into the unit throughout the day, and the money is held securely until it can be deposited at a financial institution. High security models are available for businesses that regularly have significant amounts of cash on the premises, such as bars, restaurants and nightclubs. The buyer will also want to get an idea of the burglary-resistance of the device before making a decision to buy it. The retailer will be able to provide this information, and the customer will also want to find out how thick the walls and door of the models under consideration are. The thicker the structure, the more time it would take for a would-be thief to break into it. Customers who are considering buying a security device for storing firearms will want to find one with sturdy construction and a good lock. Models are available for hand and long guns. The specific model will depend on the type and number of firearms the customer wishes to store. With this type of unit, the burglar-resistant rating is an important consideration. A determined thief who has the luxury of time and no distractions will be able to penetrate a security device, and choosing a good quality model will make it much more difficult for this event to occur. With the number of safes available on the market, a consumer will be able to find one that will be a good fit for his or her needs. 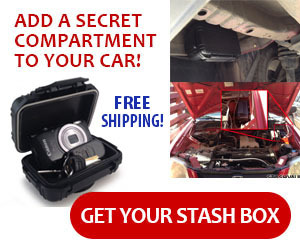 There are devices available for home and office use, as well as to store firearms.